The high-speed railway (HSR) is a typical application case in 5G systems. Mobile relay stations (MRSs) which are mounted in a high-speed train (HST) is popular system architecture for high-speed mobile communications. However, sharing spectrums between the macro cell and the MRS cell, interference exists in this hybrid system. In this chapter, we investigate the downlink of a multi-cellular decode and forward (DF) relayed orthogonal frequency division multiple access (OFDMA) system and formulate the problem to maximize the system sum rate of all cells subject to a total power constraint and a new proposed time delay constraint. An effective resource allocation scheme combined by greedy sub-carriers allocation and geometric programming (GP) based power allocation algorithm is proposed to optimize subcarrier allocation and power allocation. Numerical experiments verify that the proposed resource allocation scheme outperforms the other traditional approaches and the necessity of introducing the time delay constraint. In the near future, to achieve the objectives of increased capacities, improved data rates, decreased latencies, and better quality of services, key technologies and drastic improvements need to be made for the beyond 4G cellular networks which is called fifth generation (5G) mobile communications system. The main two drivers of 5G are mobile internet and the Internet of Things (IoT) and it will penetrate into every element of the future society and create an all-dimensional, user-centered information ecosystem. 5G will be able to deliver a consistent experience across a variety of scenarios including the case of an ultra-high traffic volume density, ultra-high connection density, and ultra-high mobility (IMT-2020 (5G) Promotion Group, 2014). Compared with previous generations of mobile communications, 5G needs to meet extremely high performance requirements in more diverse scenarios. It is expected that the upcoming 5G systems should fulfill the following key performance indicators (KPIs) (IMT-2020 (5G) Promotion Group, 2014). 1000 times mobile data traffic compared to current traffic volume: tens of Gbps per square kilometer. 100 times connections: 1 million connections per square kilometer. 0.1~1Gbps user experienced data rate. Lower end-to-end latency: millisecond level. To meet the above KPIs, many emerging techniques are identified as the key enabling technologies of 5G. Among them, it is expected that the Ultra Dense Hetnets (UDHs) architecture will play an important role in supporting such a 5G network, especially for hotspot and blind wireless areas. But for achieving ultra-dense, heterogeneous networks (Hetnets) will play an important role. 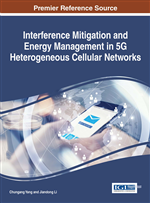 Heterogeneous networks have received much attention these days as a new paradigm for increasing cellular capacity and are under standardization for the current 3rd Generation Partnership (3GPP). In heterogeneous networks, some low power nodes (LPNs) are introduced to the traditional macro cellular deployment, which include micro eNBs, pico eNBs (PeNBs), home eNBs (HeNBs), relay nodes (RNs), etc (Gupta, 2015; Xu, 2012). Figure 1 illustrates the basic concept of heterogeneous networks in an LTE-Advanced (LTE-A) system. As a specific application scenario, 5G is required to support higher than 500Km/h mobility. Recently, the high-speed railway (HSR) has been rapidly developed in the world within these years. Providing a safe and comfortable environment for long distance traveling, high-speed trains (HSTs) have been the good choice for people. In USA, for example, a high-speed rail layout which includes 10 regional routes has been outlined. In China, high-speed railways will reach 18,000 km by 2020 (Zhou, Pan, Hu, Shi, & Mo,2011), among which the highest velocity will reach to more than 350km/h. Catering for such development and requirements of the travelers, the technologies of broadband wireless access for HSR communications are needed.